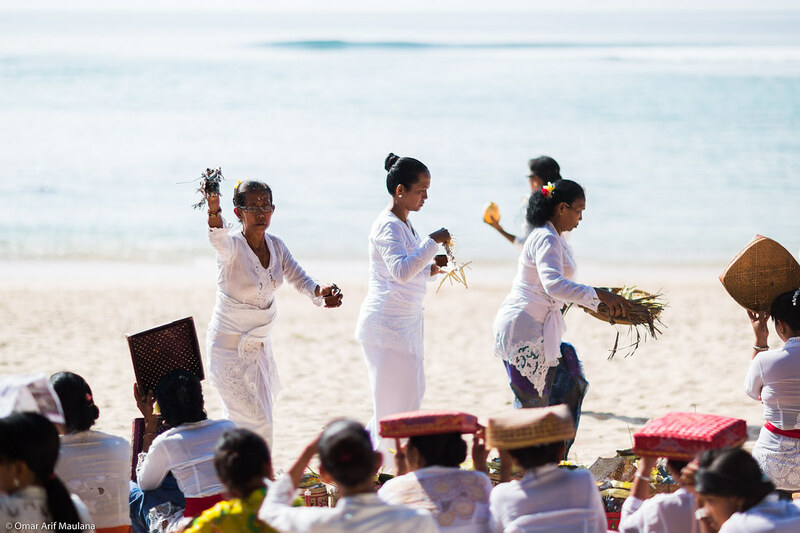 Every year Hindu people of Bali commemorate "Day of Silence" or Nyepi, it is celebrated in conjunction with Balinese New Year. 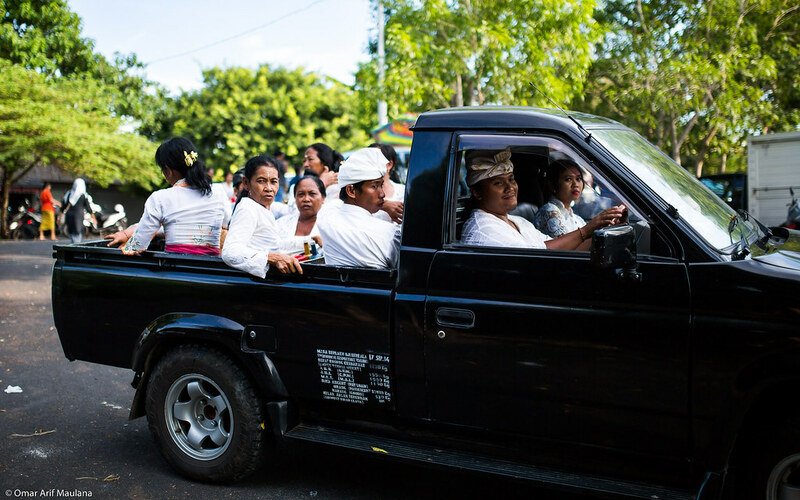 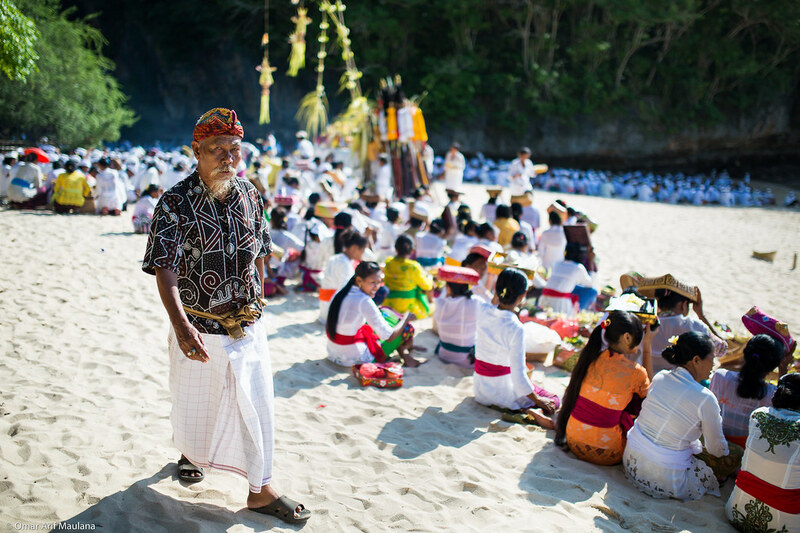 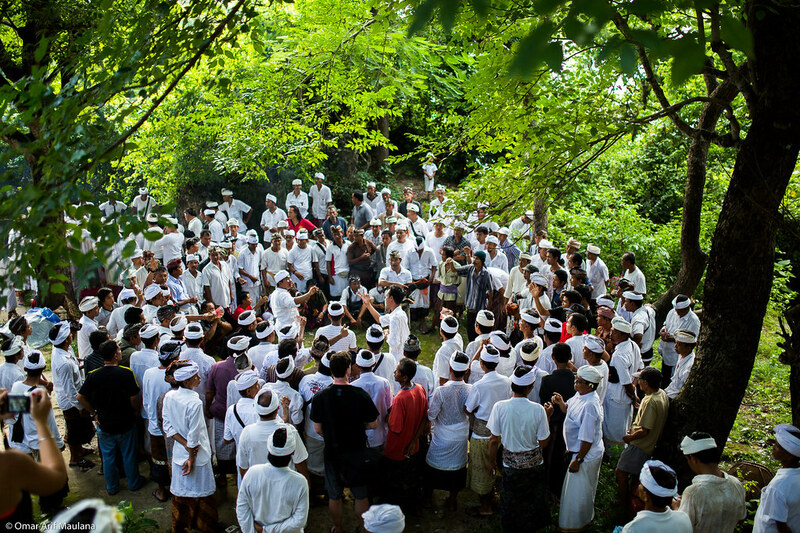 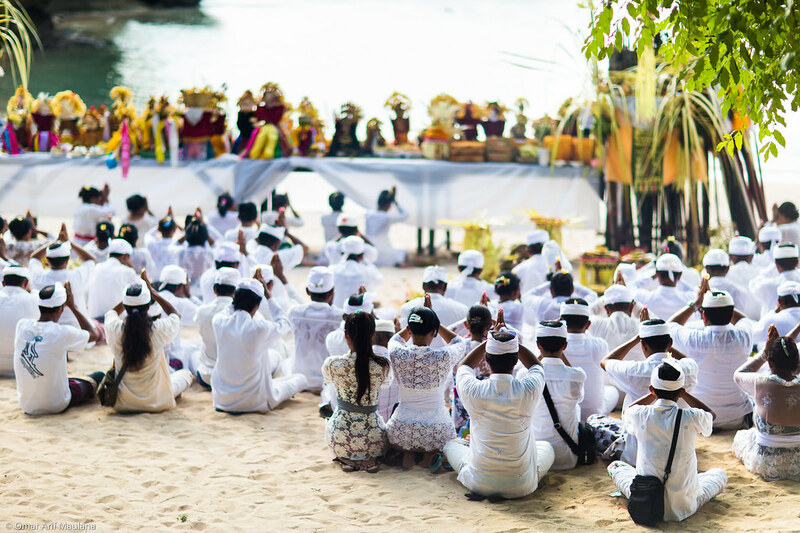 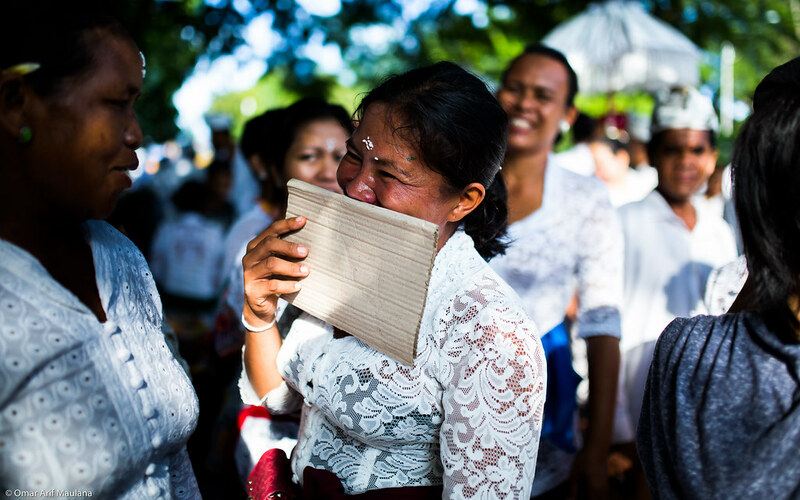 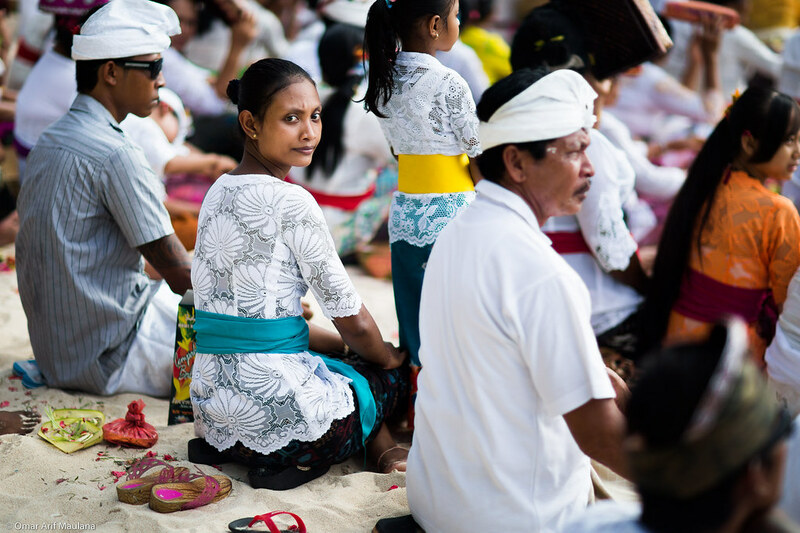 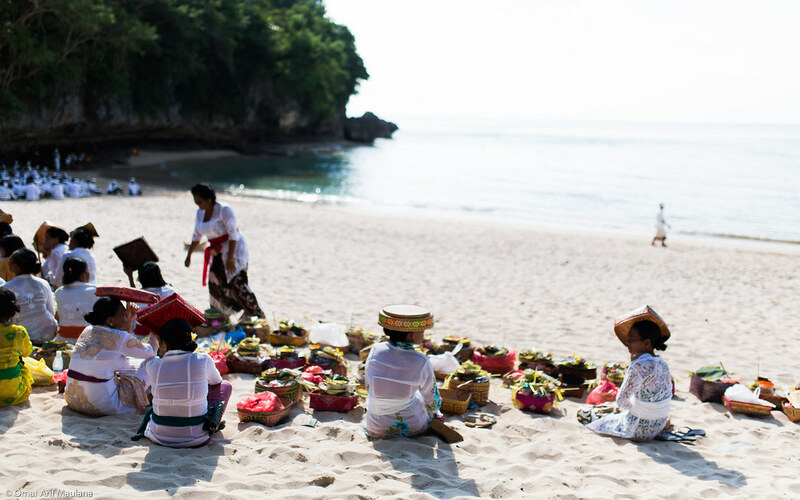 There are several rituals that are performed prior to and after Nyepi and one of the rituals before Nyepi is "Melasti". 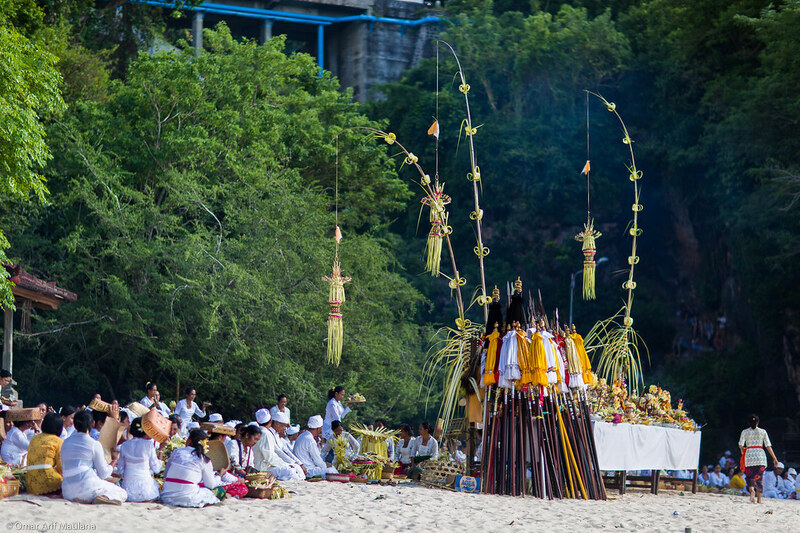 It is held to purify Bhuana Alit (small world) and Bhuana Agung (The Universe) and is performed in a Pura (Balinese Temple) near the sea. 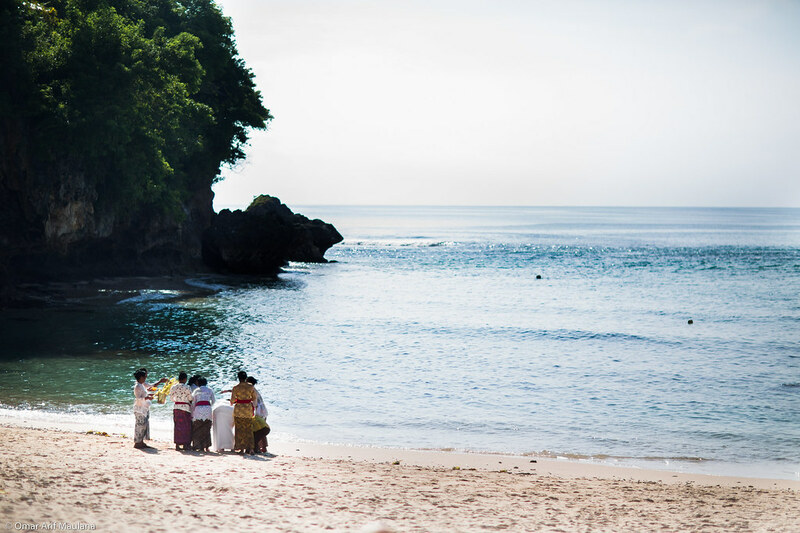 Hindus prayed by facing the sea with the aim to throw all the bad things from the past into the sea. 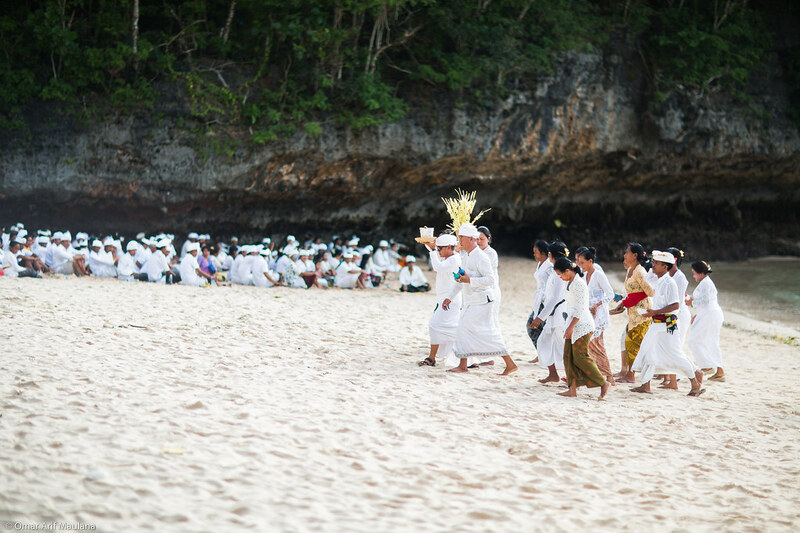 Symbols of the gods are also brought to the sea to be purified. 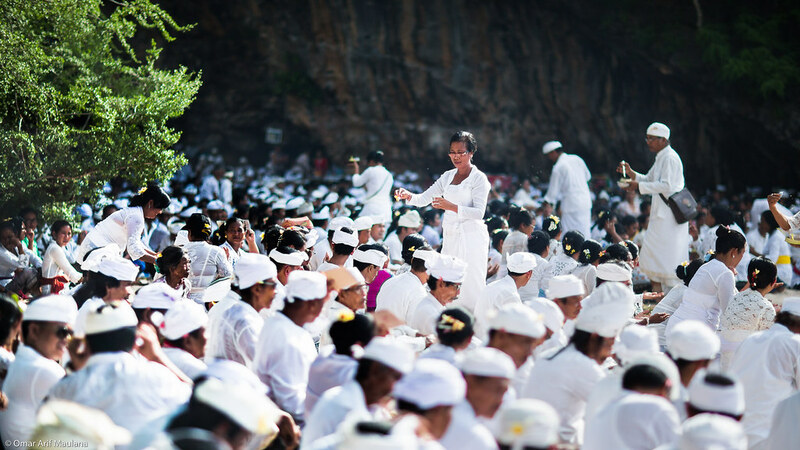 White clothes are worn to indicate purity. 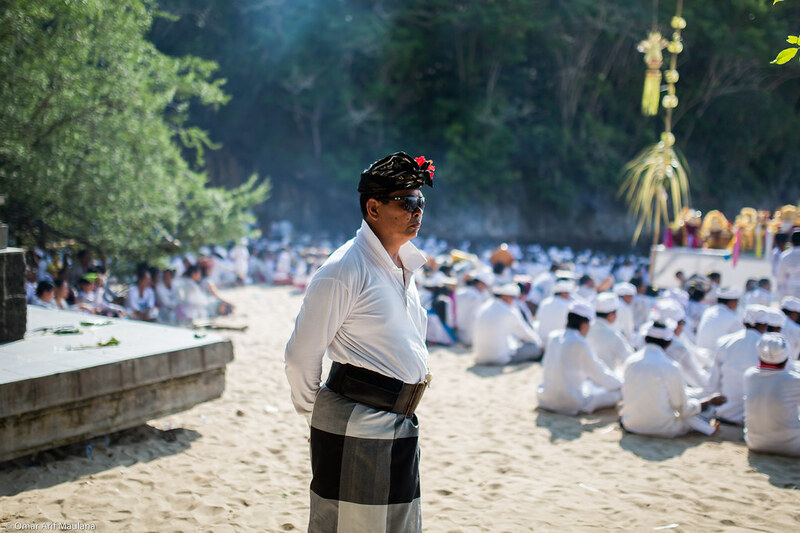 This series of photos were taken at Padang-Padang Beach, Bali, Indonesia.